I'm a mother of two (three if you count my husband). I'm a farmers wife. I have a passion for agriculture, especially showing children where their food comes from and the importance of agriculture. I struggle with depression and anxiety and sometimes let it get the best of me. This blog is to share the blessings, mishaps and funny moments of farm life. The shock of Hurricane Harvey has finally slowed down. The fires in Montana are finally making headlines around. These natural disasters are sometimes over looked. While one is occurring another one is on the hook. News coverage is often lacking of the devastation they may cause. That doesn’t mean for one minute that the nation doesn’t pray and pause. For the people who are hurting–the ones struggling with fear. For they are losing something that is very close and dear. Family and friends are out fighting-risking their lives. While family evacuates and worries that this could be their last goodbyes. This nation is always hurting by what nature has in store. Sometimes she seems to pile on more and more and more. The thing she doesn’t realize, that even through the hurt. Americans are staying strong while their things are being burnt. We are resilent people, strong and faithful too. Even though news coverage is lacking we are still praying for you. So even though the headlines might not show the story in depth. The heartache, the losses and the tears that have been wept. It is up to us fellow Americans to share their story too. Because we know if it was you in their shoes, they would do the same for you. 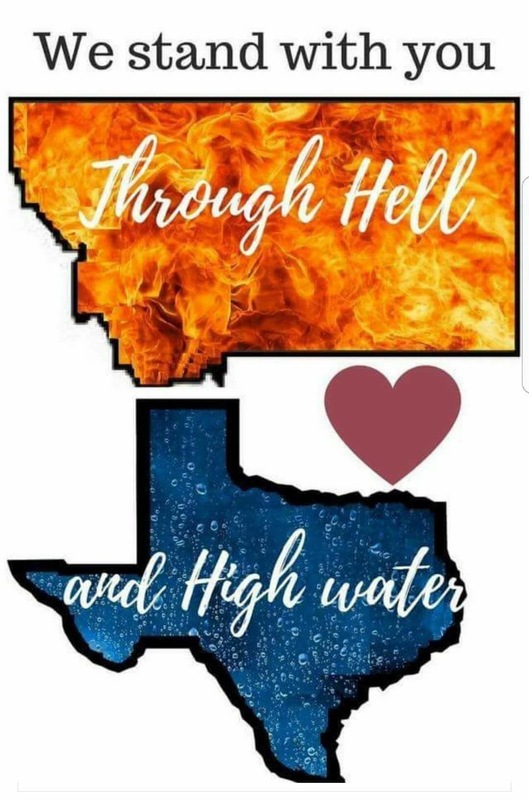 So people in Montana, Texas and those states that are in hurt. Know we are watching, praying, and sharing your story of your lives being burnt. So share their story–share it loud and clear. Share details–the pain–how much it’s near and dear. We are praying for you all and wishing you the best. For one thing I know is God will never rest. He’s watching over our country, even though it doesn’t seem that’s so. Just keep praying and have faith that soon it will snow. Soon the flakes will fall and they will hit the ground. While we all look in awe at all the loss that can be found. For when the fire stops, you will push on and restore. For when God closes a window–he opens a door. That door will soon come open. Your losses will be seen. We will be there watching pushing you to believe. Believe that what has happened no matter how devastating it may be. There’s a bright side in this horrific event that has yet to be seen. Maybe it’s to pull us close. Show us we are blessed. Maybe it’s to show our country the silly problems don’t compare to this mess. We often take for granted what we have–the things that are simple and small. What we don’t realize is that these are the things that mean the most of all. Our life may not be perfect, but we do our very best. For its when we see tragedies like these it reminds us we are blessed. First off……just let me start with apologizing for my absence. Between juggling the end of the school year…enrolling my little boy in kindergarten and full blown hay season I’ve just had limited time to spare for my interests. Plus, lets be honest–my real reason is I haven’t had any inspiration for a post. Tonight, my husband and I attended a meeting at Von Holten Ranch for the Benton County Veterinary Service dinner. While sitting there in this very crowded room I realized something—it is evident that the average age of an American farmer is 58.3 years old. I’m not calling those in the crowd old but just from looking around the room the percentage of producers 35 and younger were much slimmer compared to the older generations ( and I don’t mean weight 🙂 ). On the way home we both made mention of the dynamics of those in attendance. Both trying to think of reasons as to why it happened to be that way. When I look at an elderly couple in their late 60’s or even 70’s the first thought that comes into my mind is family farms that have been well established and passed down generation to generation. That is something that always warms my heart. Those families take pride in what they have built and are willing to pass it down to the next generation in hopes they can continue the tradition. After doing a little research and using the information from the most recent USDA Farm Census–the numbers made things a little more clear. By the way, the next census is under way and I believe it is vital to turn in those numbers and information. The past census shows that the number of beginning farmers decreased by 20 percent from the prior census. To me that shows me one thing—becoming a farmer from scratch or just trying to stay a float in those early years can be a struggle and sometimes it easier to let go then it is to continue. My husband and I met almost 11 years ago. At that time he had a few cows (10-15 if I remember correctly). I came from a family farm that also kind of diminished when my father took a job off the farm when I was a child. We were blessed to use the Beginning farmer program through the USDA and Farm Service Agency. We actually just used the last year of our 10 years with the program. Without this program we wouldn’t be where we are today. By the end of the program we have built our herd from those few he originally purchased to close to 200 cow calf pairs today along with purchasing 160 acres. At one point, we truly believed we would have the chance to be part of the next generation of the family farm and unfortunately due to unforeseen circumstances that won’t be happening. Luckily we were able to use resources from my husbands grandfather and local farmers to sort of give us a foundation to start on. In the last year we have really been tossed to the wolves and had to fight our way just to stay a float. Farming is such a hard and risky profession. Not only do you have the financial issues but you also have the weather, market fluctuations, and just input costs and equipment upkeep. Within the last year we have had to purchase a full line up of equipment due to not being able to use the resources from my husbands previous involvement on the family farm. Being a farmer in general is hard. Trying to become a farmer and venture out on your own is even more difficult. We are so far in debt it isn’t funny. However, we are taking major risks in hoping we can fight on to give our children the chance to become the next generation on our family farm if they choose to do so. I have grown so much over the last two years not just by knowledge but just my confidence on helping on the farm. Two years ago I hadn’t even driven a tractor to feed hay or rake hay for that matter. Today, my daughter and I can be caught in the cab of a tractor feeding hay in the winter, daily and raking hay in the summer (trying to please my husband with my raking abilities–but we will leave that story for another day). Two years ago I wouldn’t have done it. I was scared to. I wasn’t given the opportunity. It wasn’t that I didn’t want to it just wasn’t something women did on their family farm. When my husband and I were thrown to the wolves and out on our I was finally given the chance. Since then I have surprised myself. I can’t tell you that there hasn’t been tears or yelling matches but even through all of that my confidence on what I can do and what I am capable of doing in the future has grown tremendously. My goal next year is hoping to plant more then an acre of corn and beans along with mowing or baling hay. Until then–I will take any tractor time my husband is willing to give me. Many family and community members say we are in over our head and we won’t make it and that we are destined for failure. We were hesitant at first but we decided we would rather take the risk of trying to make it work verses always looking back regretting we didn’t at least try. Some call it crazy and foolish but I like to call it taking a leap of faith. The next few years are going to be a struggle but with the help of a few select family members so far, we have been able to hold on. I’ve seen multiple posts lately about dairy farms completely selling their herd or all those in other states selling out due to the drought. If that day comes for us, we can at least look back and say we tried. Granted I would probably shed more then a few tears but I hope that day never comes. My husband and I don’t have new equipment other then a couple items that were more reasonable to purchase new but we are lucky to have what we have. A John Deere 4250 was the first tractor and major piece of equipment we purchased and so far I am more fond of it then any other piece we have. To me it symbolizes that first step at standing off the first pack of wolves standing in our way. She may not be new, and she may not be in the best of shape but I am still proud of her (yes, I’m referring to the tractor). Looking at our situation I can’t help but think of those families that have passed down their farms from generation to generation and what their first big purchase was. Today, they may be fortunate enough to have the new equipment but they had to start somewhere. Heck, going back it could’ve been a couple mules and an old plow. At one point those farms were starting from scratch like we are and look where they are today. Looking around the room tonight, I didn’t just see an older generation I saw HOPE. I saw blood, sweat and tears. I saw an older man working his last day on the farm only to see his son working harder for the sake of his father and his family. I think of the risk those farmers took but looking tonight, I saw the reward. I hope 40 years from now, I can look across the table at one of these dinners and provide HOPE and INSPIRATION to the younger generation sitting around me. Granted they look past the grey hair and wrinkly skin—or maybe even my outdated clothes. The sun rises on charred ground. Any human would shed a tear from looking around. 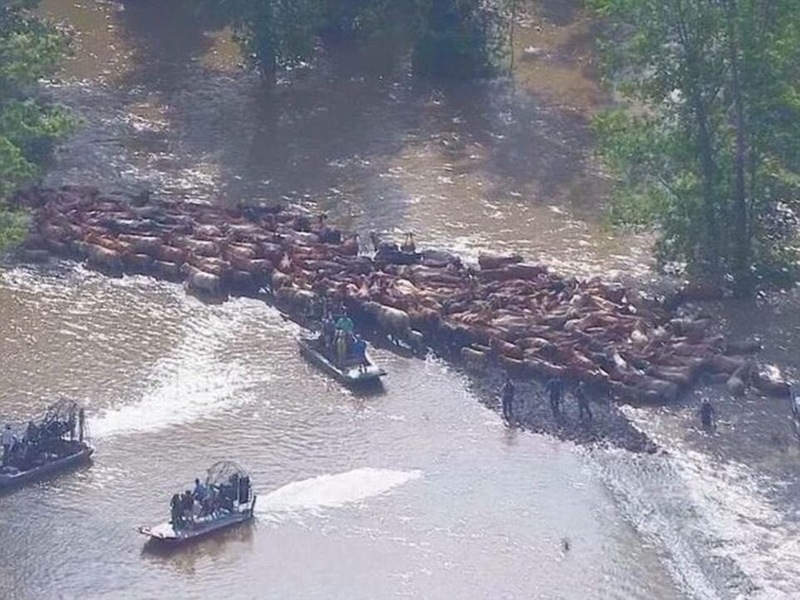 Fences are gone and cattle are dead. Ranchers are in pain and unable to rest their heads. Their livelihoods have been taken. Families, friends and animals have been shaken. The fires nor pain will keep them away. They will get up and fight another day. You see, God has a plan, whether we like it or not. He gives the rancher-wind, snow, rain and the unbearably hot. Test after test, the rancher goes on. America will never see the day the rancher is gone. On the horizon you see lines of trucks hauling hay. The fellow rancher has helped to save the day. They will be there day after day until their community is on the mend. From coast to coast- we are united as one. We are here for each other and to get the job done. Ranchers are full of hope, strength and tenacity. They love one another and choose to believe. Believe that no matter what God has in store. Our fellow ranchers will be there at our door. To help us push forward, to not lose hope. To show Americans what they need to know most. You see, farming and ranching is more then a profession. It’s a burning desire, a passion and a dedication. It’s something passed down and taught with love. It’s about making those gone before us, proud from above. It’s hard work-values- blood sweat and tears. It’s why the rancher has been around for so many years. We love what we do- our crop and our stock. Whatever God throws our way we won’t stop. We are American Born, American raised. We will rise from the ashes to fight another day. So pray for the ones who have lost their life work. Pray for their families and for God to lift their hurt. It’s trusting in God, even through all of his tests.